Nothing says "I love diving headfirst into a ditch" like your hair suddenly elevating to the tingly feel of electricity. Thunderstorms are amazing from inside a building, but they're scary if you're trapped outside. And, despite a good deal of observation, an element of mystery surrounds them. For instance, we know that lightning can produce free neutrons, antimatter, and gamma rays, but we don't have much idea of how that happens. That has partially changed thanks to an Indian muon telescope, called GRAPES-3—a classic example of a backronym. GRAPES-3 is designed to detect muons (a heavier cousin to the electron and positron) that are generated as gamma rays hit the Earth’s atmosphere. It is a relatively simple detector that has the benefit of covering a reasonable chunk of sky with good angular resolution. The detectors are also buried under a thick layer of concrete, so muons need to be quite energetic to get to them. GRAPES-3 doesn’t actually care where the muons come from; it just happily counts away. Evidently, the scientists running the detector noticed that their data would always go a bit skewiff every time a thunderstorm passed over. 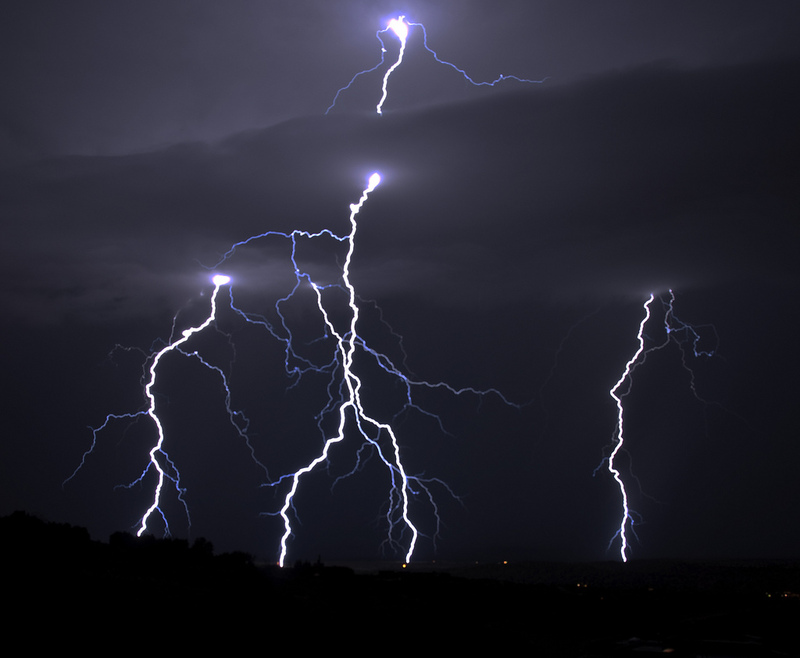 Instead of ignoring this, the researchers (while keeping their heads low), installed a set of electric field monitors at various distances from the observatory and started logging electric field strength every time a storm passed over. That data could be easily compared to the muon detection rate. Unsurprisingly, storms are complex beasts, resulting in a lot of data that simply couldn’t be interpreted.